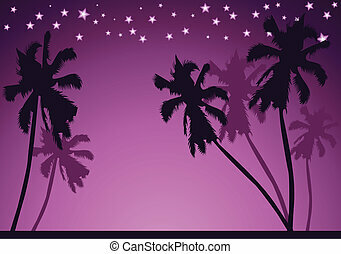 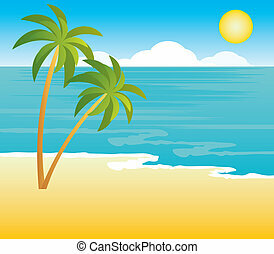 beach with palm trees. 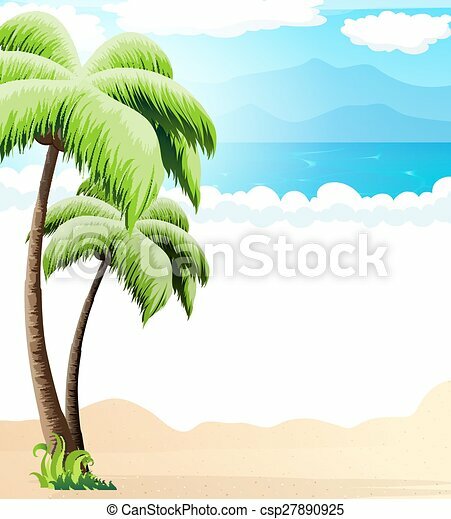 Sandy coast with palm trees. 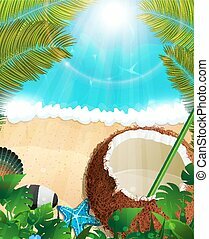 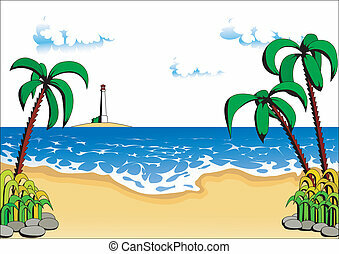 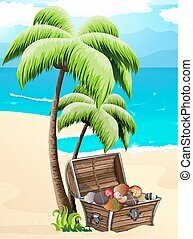 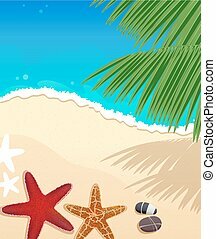 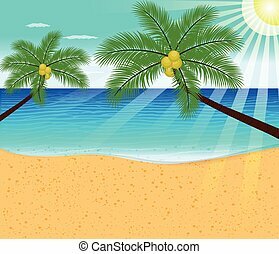 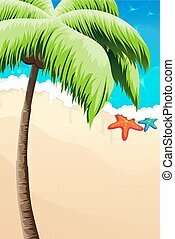 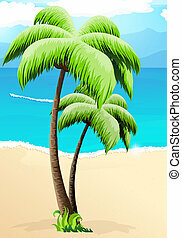 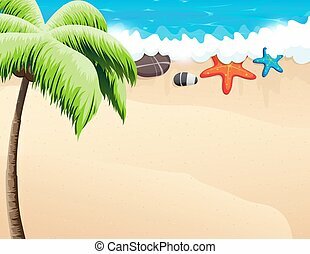 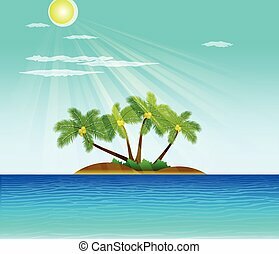 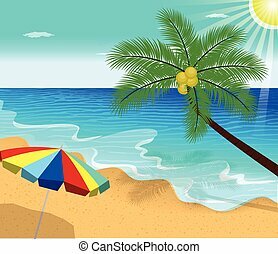 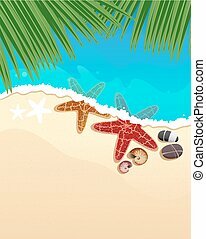 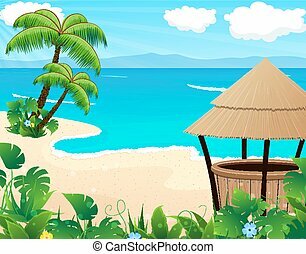 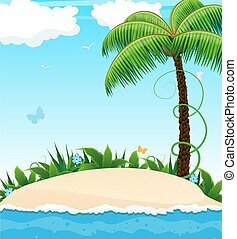 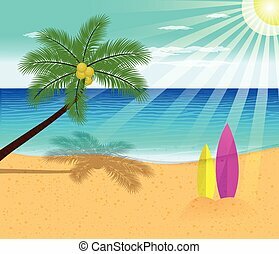 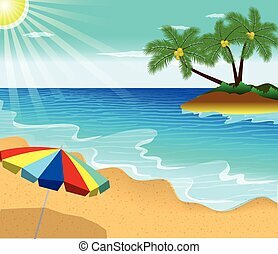 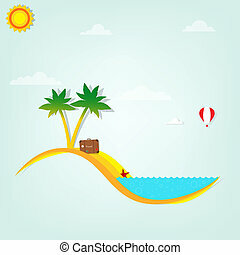 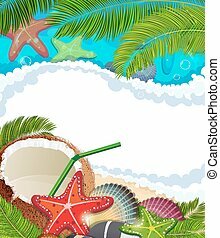 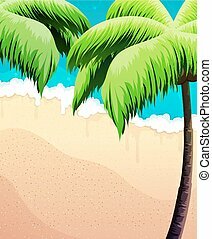 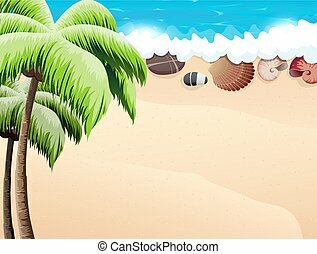 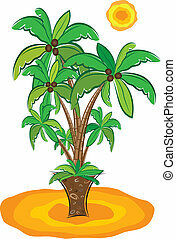 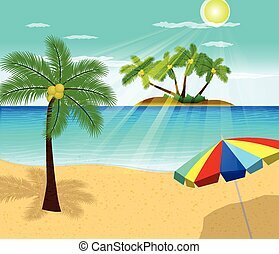 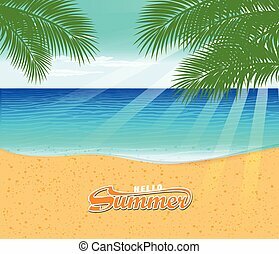 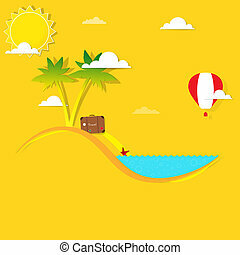 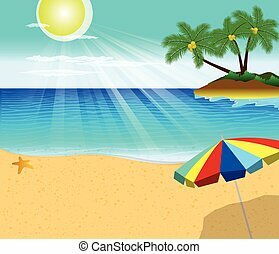 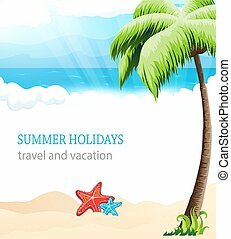 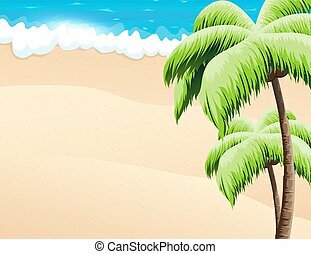 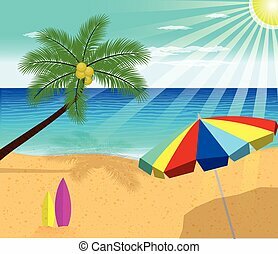 Sandy island with palm trees, butterflies and tropical vegetation.